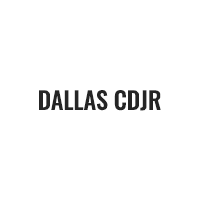 At Dallas DCJR, our love of new Dodge, Chrysler, Jeep, and Ram cars drives us to deliver top-notch customer service at our showroom and service center in Dallas. Also serving the people of Garland and Arlington, we strive to give drivers all the information they need to make an educated decision. What makes our car dealership so special? Our friendly, knowledgeable staff and excellent cars and services bring area shoppers back again and again, and we’re excited to show you why! With four distinct vehicle brands to our name, our car dealership is the place to go for a truly vast assortment of options. New Jeep cars, especially those Trailhawk trims, are ready for any off-roading adventure! Plus, Ram trucks, like the 1500 and 2500, will give you the towing and hauling capacities to power through your next big project. When you want to turn heads and drive in style, check out our selection of Chrysler luxury cars, including the upscale Pacifica minivan. If you want to add some sportiness to that style, take a Dodge Charger or Challenger for a spin! You can find these cars and more in our new car inventory—and we carry used and certified pre-owned vehicles, too. At our Dallas car dealership, you’ll find an expert sales team that knows every vehicle on our lot, inside and out. They can help you learn about the specs and features of each model and help you schedule a test drive to get some firsthand experience behind the wheel before you choose your next ride. If you’re planning on leasing or financing, our finance team can help you find a plan with rates and terms amenable to you. When you need premium parts and service down the road, we can help you do all it takes to keep your car ready for the roads of Dallas, Arlington, and Garland. It doesn’t matter whether you’re looking for your next new car or service and parts for your current one: we at Dallas Dodge Chrysler Jeep Ram are prepared to help you with all your vehicle-shopping and vehicle-care needs. Contact us to learn more and stop by anytime!